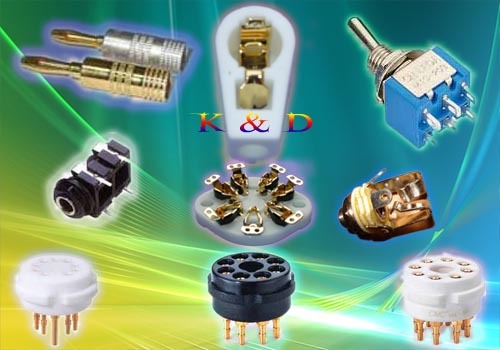 K&D Electronics Co., Ltd. supply all of Amplifier Parts. Full music tubes, shuguang tubes, tube sockets, gold pin sockets, capacitor, resistor, switch, fuse, meter, tag board, chassis, knob, potentiometer, binding post, banana plug, power socket, RCA jack and plugs, XLR connectors and so on. Hope you can find useful parts in our website. If you have any question, pls. feel free to contact us. We will try our best to help you. Thank you!